Life's a Beach | Expat Life in Playa del Carmen : Sundays R 4 Kastacan! For the past six months or so, Jill (my sister in law) and her boyfriend Milo (el cunado) have been joining us at our house every Sunday morning to watch football, hang out with the kiddos and stuff ourselves silly. All week we look forward to this day and the delicious brunch that Milo has introduced to our repertoire. 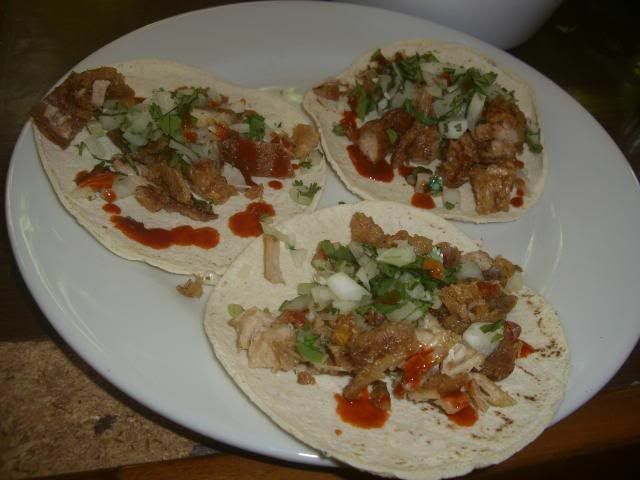 This is the one day we eat in true Mexican style with a breakfast of warm tacos kastacan. 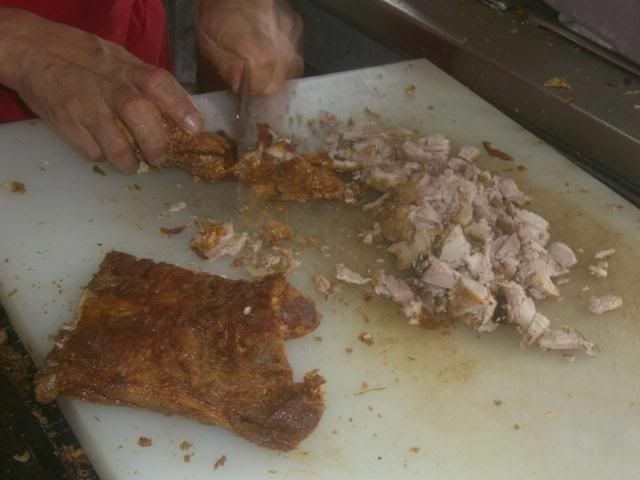 Kastacan, for the uninitiated, is sort of a mix of fried skin and meat. 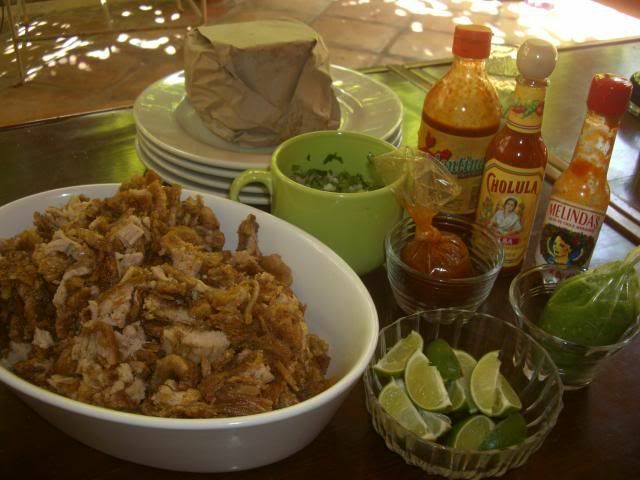 Much like the ubiquitous chicharrone, commonly found hanging in plastic bags outside of the better local taco joints, this is a fried pork product created for the sole purpose of clogging ones arteries. It is absolutely heavenly and well worth the obvious health risks. 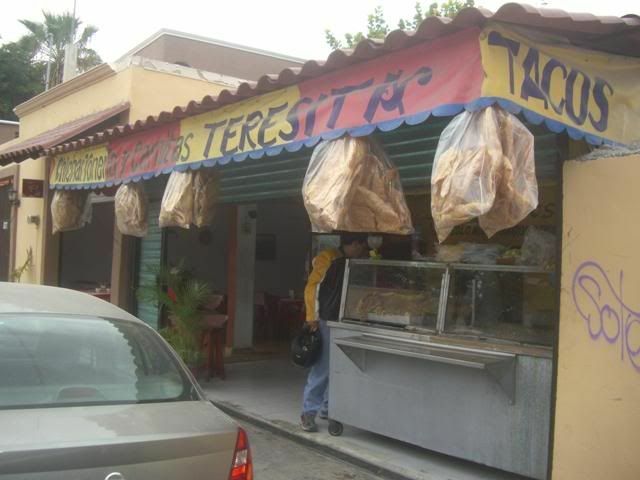 Our purveyor of choice is Teresita's on the corner of calle 20 and 1 sur. 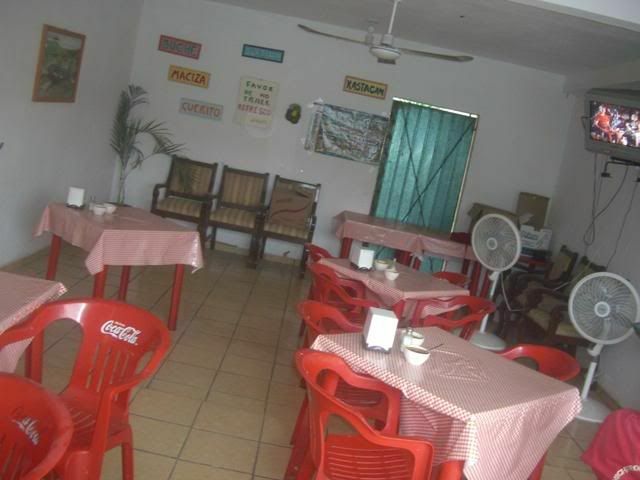 This is full service taco restaurant with a handful of tables in an adjoining room, the meat counter up front well stocked with various carnitas and the back room where the money changes hands and the owner and his friends gather to drink beer and socialize. 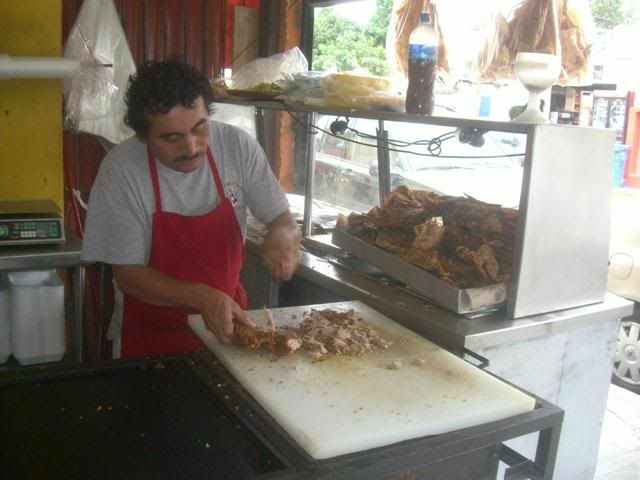 As Milo works quite late at Hole In the Wall, I have taken up the responsibility of making the morning breakfast run and gathering the meat and tacos that make up our fabulous Sunday meal. As I am the only gringa I have ever seen there, I am easy to identify and my weekly order now starts to come together as soon as I pull up out front. The small clean dining room with the TV blaring. 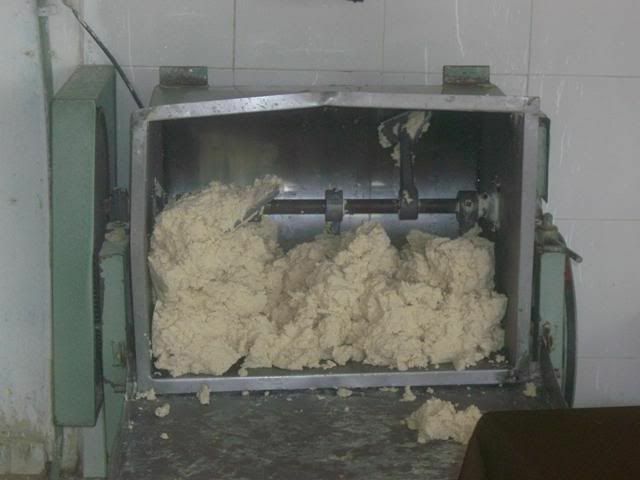 My kastacan is chopped to order and mixed with other juicy pork products. 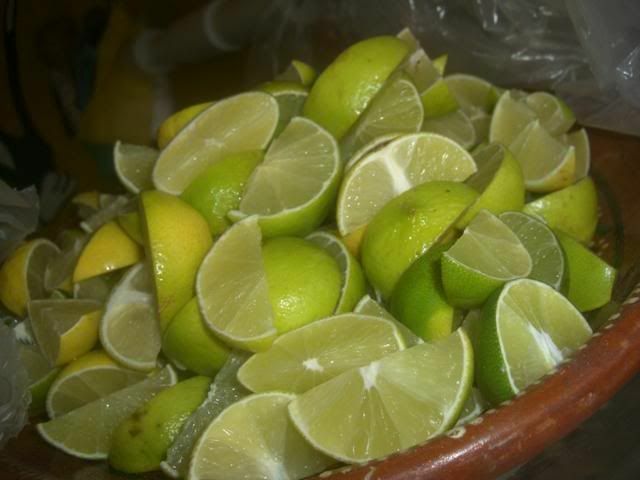 Mounds of freshly sliced limes. 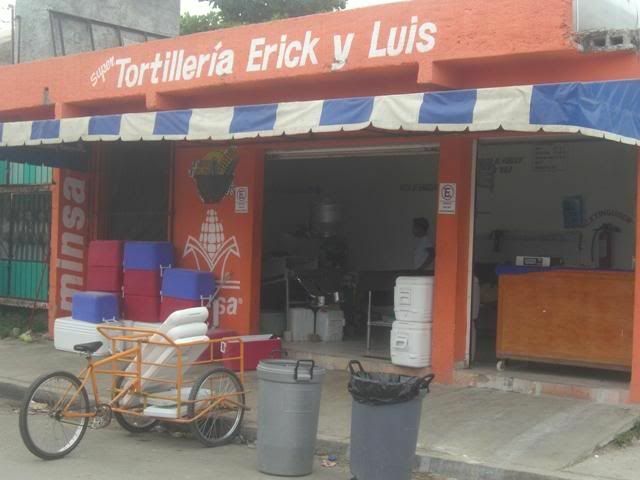 The tortilleria Erick y Luis is just up the street and puts out kilo after kilo of fresh warm tortillas de maiz. 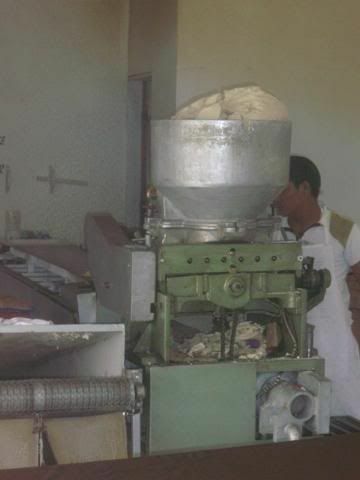 This is a major operation that supplies tortillas in large coolers via tricyclo to dozens of local restaurants and tienditas. This is the full spread. 1 kilo of carne kastacan, 1 kilo of tortillas, freshly chopped onion and cilantro, wedges of lime and a variety of mouth scorching salsas. All this costs about $120 pesos and lasts us most of the afternoon. Warm tacos kastacan, cold cervezas, football and family. The best way to end the week.